I've read the paper and the specifications between 182 Sport and Cup. But then I don't think the paper tells a complete story. I probably won't track the car anytime soon if I get one. In this case, should I just get the standard 182 Sport? What I'm looking for is basically agileness and fun, don't need 100% track ready car. Lastly, in terms of pricing, are the 182 Cup nowadays worth almost 10k to be fair? I rather save couple thousands for maintenance and consumables. My other alternative to Clio, is the Ford Fiesta XR4. I probably won't be getting Megane 225, GTIs (Polo or Golf) as coming from WRX background, I kind of miss instant throttle response. Don't really like turbo lag, e.g the car is powerless under 3500k then suddenly things start to happening only after that. What do you guys think? Would love to hear views from someone who has driven / owned the Clios or even better other hot hatches as well? Merci beaucoup madame et monsieur..
$10,000 is for a mint Clio 182 with under 50,000km! 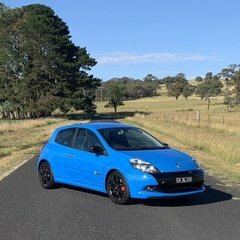 The black one in WA looks tidy and has under 100,000km so his/her starting price isn’t unreasonable. There’s room for negotiation depending on the car condition (photos don’t tell that much) and recent maintenance work. The stock F4R engine in Clio 172/182 doesn’t come alive until you hit around 5,000rpm. It feels just like turbo lag but worse because it lags till higher rpm. I have an old VAG 2.0L turbo hatch but at least that one really picks up from 3,000rpm. That’s just my opinion. The Clio is fun to drive on the twisty road. You can floor it more without getting into ridiculous speed too quick. Stops very well too because it’s very light. Well.. I won’t waffle on as there are better people here to provide you succinct information. The last link you put up was a 172 by the looks. The others may or may not be a 182 Cup. The blue ones would be but the black one maybe not. You’d need to look into that. The main diff being as you would be aware between the cup and non cup and the 172 being in essence steering geometry and spring rates. Also front hub bearing dia. Add in the exhaust manifold and you have it bundled up. On the road however for all intents and purposes you could keep pace with a 182 in a 172 no probs. In fact many 172’s will output as much poke as a 182 back to back on a dyno. Pop some decent struts in the 172 and you have discernibly no difference. Punting hard in a well sorted 172 either Phase 1 or 2 on everyday roads with even the majority new RS forced induction units is not a lot different. They are all quite competent. Track is a different ball game altogether. Me? I’d go a 182 Cup in FRB (French racing Blue) if you are buying into the RS brand. Ah ok, in that case, would 6-7k be fair offer for the blue one in Vic do you think? Hmm I didn't know that, the thing I value is feeling of lightness. E.g I test drove a GT86, even though it's clearly not as powerful as WRX, you can feel it's light, and faster than it actually is. Do you think this also applies to the Clios? Just confirm with the owner. Generally us RS folk are honest. There would be documentation or badging. If you are after a light feel then these little guys are the go. Many will have and RS Tuner 98 octane tune which is rock solid. Better still the car comes with the VCI (vehicle care interface) as this gives you full diagnostics and data logging. Just a bonus if it does. Really you are looking for proper service history in any of these as not all peeps are enthusiasts like most on here. Timing belt, aux belt, tensioners, water pump in the last 0-3 years. Harmonic balancer and cam dephaser in the last 10 yrs replaced. Other fluids 0-3 years refreshed. Check engine mounts. Best outcome would be all changed at the same time in the last 4 years. Beware after market race spec or fast road mounts as these will add a fair amount of vibes to the cabin. Some like this. Some don’t. Look for major services that include plugs. Pref if easy coast Sydney the fellas at Renault Tech. 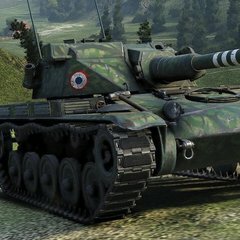 Get good reports here. Be mindful of half a***d mods. There are good OEM cars still out there so a really good place to start. Don’t be afraid of punting hard on a test drive. These cars are meant to be driven with some gusto and that’s when they come alive. Regarding weight, apart from exotic cars like Lotus, the Clio 172 is the lightest car built since the mid-2000s. Additionally most cars with a similar weight like the Fiesta XR4 have less powerful engines. Cars with similar power like the Peugeot 206 GTI 180 are 100 kg or more heavier. To get a better power to weight ratio you need to either go turbo or get a V6 Golf R32 or Alfa 147 GTA. Neither will be faster than a Clio in the corners. IMHO buy based on service history. Higher mileage well maintained cars will be better that a low mileage car that’s had less frequent servicing particularly with belts. I'd be going that low km silver 172 for $6k for sure! Super sleeper on the road and there's really not that much difference that you or I would notice when driving the 172 and 182 Cup back to back. The 172, being slightly softer, sounds more suited to your needs anyway. Just quietly, that $11k is laughably priced, given the apparent condition in the photos (see rims, bonnet and seats) and the fact it had belts done in 2014, so they're due again. Old mate in the ad, says "major service and timing belt replaced at 70k in 2014 not due for another 50k" - sure pal, I'd be getting that in writing if I was the purchaser! I’ve owned and driven a few hot hatches (Polo GTI, Golf GTI, Audi S3, BMW M135i...not to mention Mini Cooper S when I was really young and stupid). Currently own a Trophy-R and a 182 (non-Cup), and these two cars, between them, tick all my boxes. The 182 is daily fun — I don’t commute in it, I just have fun urban/semi-urban drives where I stay legal AND still enjoy the drive. It is lovely and light, small and very easy to place on the road. I don’t know if I’m sorry it doesn’t have Cup suspension and I’ve decided I don’t care (although I do have a set of B14s I may fit...or may not) because the ride/handling balance is very sweet. The Trophy-R is similar, but a much bigger hammer. It lacks most social graces but is fantastic on track or for a very spirited drive somewhere isolated. If I drove it where I drive the 182, I’d just get into trouble. Interestingly, the T-R’s controls are much lighter than the 182, which I need to remember each time I hop into it from the 182. I once recounted a story on this forum which happened some years ago in my 172. One of the undefinable aspects of the 172/182 as people report, and also reported on ‘Top Gear’ and many other places, along with the build quality / typical comments is that these cars “make you happy” and strangely they do. I’ve always and still do when I drive mine get out feeling weirdly happier!? Now the first time my mentally disabled brother came with me for a drive in my car (a trip to the shops) some years back, we got in, I drove off down the road, quietly around a few comers like anyone else, he looked at me and said in his limited language, “this car makes me happy whilst grinning ear to ear”! Never has he said that before in any car. I felt he made to connection. Small, light, fun. It’s an odd, undefinable thing. But I think true. Thanks for the help guys! 👍 I think I'll consider both models 182 cup and non cup as they are available here in Vic. I'll start looking and sending inquiries. Will also ask here if I have any further questions. Consider the 172 as well. There isn't much difference between the 178 and 182, and the 182 Cup is only slightly different front suspension. The 172 is lighter than the 182 (the Phase 1 172 is lightest of all) and the 172 has a spare tyre and rear tow point, 15 inch wheels which are cheaper for tyres and lighter than the 16 inch alloys on the 182s. Is there a noticeable difference driving and feel wise between the 182 and 182 cup? The 172, (& 182 non-cup) also has the most available options for aftermarket suspension. The 182 cup is hard to source because its Hub bolt spacing is different. There are slightly more options available now. Yes. But very marginal. 182 cup came with upgraded suspension from factory. As said before also, I agree the ones that are sort after ones are 182's in French racing blue or sunburnt orange (but getting orange very rare). If it's a fast daily that you would keep clean, then go one of those. It has nicecities like cruise control, esp and the 16" wheels which look better. If every you sell it will hold value better I think. If it's going to be track toy, then go 172. Its not only cheaper, but will be just as fast as a 182. I was coming to say this. any of the 172/182 cars will have 10-15 year old suspension which has possibly seen better days. as the owner of a 182 cup (only clio I drove so can't compare with others) I would say go a 172/182 non cup and spend the money you saved on some new aftermarket suspension and decent tyres. second hand, good condition, coilovers etc pop up on the forum from time but I haven't seen much to suit the 182 cup floating around. .. and just read Jim's post above, forgot about the cruise control factor. Pretty sure it can be retro-fitted to 172 with some DIY work though. Cruise on the ESP 172 is easy to fit all the wires and ECU code is there, just add the parts: clock spring, steering wheel switches, clutch pedal sensor, cruise/limiter switch, three-hole panel. The clock spring is the most expensive and hardest to fit, requires removing the steering wheel but that's not a big deal. The airbag needs to be trimmed too for the switches, that's easy too. Earlier non-ESP 172s: I've tried fitting cruise control to one but it didn't work. The parts were used and am not sure whether something was faulty (think it was). The car was subsequently written off before I could get it sorted out. Other people have had more success, it has been done. IMHO the cruise control is really good. I prefer to use the speed limiter function because you use the accelerator as normal but the top speed is electronically limited. The limiter doesn't cancel every time you press the clutch or change gear, so it's good in stop-start heavy traffic. If you want to have a look at four 182 Cups in Melb just send me a PM. One is definitely for sale out of the four, I haven’t put it on the market yet as I’ve been collecting parts to fix two up. But you might get lucky as the Mrs started about getting one out as she knows it’ll be months until I can work on them again. All Clio’s are slightly different, I’ve gone from a esp 172, to 182 stock and now have only 182 Cups, and I can notice the difference between them, it’s not a big gap but still a gap. I wouldn’t get a 172, I’d advise a 182 Cup instead, but that’s just me and I can’t speak with four at the moment. 63x1092 out of curiosity why do you not recommend a 172? Having owned a Clio 3, there’s quite a difference between C3 and C2. They’re both great in their own way, but you do notice the extra weight in the C3. That said, the C3 is obviously more refined. You usually find the last of a model to be the better one and in the case of Clio ll’s I believe so. The best is the Trophy which we didn’t get so the next option is the Cup. Yes you can upgrade all to whatever spec you want, be it a 172 or 182 but in a lot of people’s eyes a stock unmolested car can be worth more and I think out of all the Clio ll’s the 182 Cup will be the most sort after and valuable, if it isn’t already. So as he has asked for help, my advice is to buy a 182 Cup, no need to upgrade to cruise, change wheels to 16’s, no need to do any thing. Spend a little more and get a Cup. Age is the down fall with these cars now and a well sorted 172 is worth just as much as a 182 but it ain’t a 182. Either way buy the best car available at the time for the money you have but don’t say I should of got a Cup. Yeah, I know the bloke and have seen the car many times as he’s in Mitcham and I’m in Ringwood North. Interested to know why the result was so disappointing. This is one popular topic! A good thread mind you. One of my favourite Clio 172 driving memories is the period (prob 9 years ago) just after I put in some Engine Dynamic Ver 2 cams and did a exhaustive custom tune with Henk. Also at the time added Koni yellows, Eibachs, Competition Racing strut tops, a almost straight through reasonably quiet exhaust, ceramic coated the exhaust manifold along with a BMC barrel filter. Also and still do have the PLX digital gauge set streaming the ECU data live via the premium version of the RSTuner. 2nd most memorable although there are many was losing the RS drive day guys as I wasn’t paying attention and ending up in a Ducati motor bike drive day instead so I joined then in their run through Basket Range, Adelaide Hills which is very tight a twisty quality roads. The little guy worked his a*** off that day losing them in the straights but catching them on the corners under brakes. We all ended up at the same coffee shop and I over heard the bike riders discussing the little Clios capabilities. Enough waffle from me .. If you already don’t like it now, walk away. It will only get worse as you discover more and more dodgy stuff as you get to know the car more. A good one is hard to find these days. They are at least 13 yrs old. You may want to consider the newer Clio 3. These cars are now 14 to 18 years old. If you’re expecting something with no problems you will never buy one. I'll PM you with the problem list if you don't mind so you can review whether it makes sense to stay away from it or not. Also interested in the list if you want some more advice. Sent another PM to you. I’ve seen the list it would be good to post it publicly. Nothing looks unusual for a car that age. Brakes, batteries, belts are all consumable wear items. The car is way over priced the owner is dreaming. Yes I’d run from that car. Owner has unrealistic expectations and appears to have NFI either. So he’s asking 11K, good luck to him. No one on here would pay that much for that car. But, let’s say his Mrs says ‘sell your car’ so he puts a silly figure knowing it won’t sell and he’ll keep it, or he puts a high price waiting for a silly bugger to pay it, and waits a while and drops a K and a K and a K and eventually comes down enough that someone pops on it. So I ended up paying the price I wanted nothing near what he’d asked. Is an un-numbered F1 the Limited Edition or something? A F1 is only frb and are numbered to 30. My understanding is that the LE came out in only frb & bo and weren’t numbered. Both the F1 and LE typically came with strips. Though you can still get a 182 in frb that is a normal Cup and a non cup, bo I’m not sure about. I believe they all were specced with stripes but some folks deleted the stripes (like some do on the Meg 3 Trophy and Trophy R) plus over time the stripes tended to not take too well to repeated sun exposure and cracked so some may have removed them for this reason. I've just been to see that FRB 182 Cup (it's not an LE or F1) in Mitcham, and can confirm that it's got some issues. Mechanically it felt ok; the front end felt nice and tight (no noticeable knocking) and the engine pulled smoothly albeit a little lethargically (stock tune, needs RS Tuner!). The clutch (which has been replaced) felt unusually light and had quite a high contact point, and the gearshift was a little looser than normal but not alarmingly so. Brakes need doing and the exhaust mounts have collapsed, but neither are unusual at this age or difficult to fix. Quite a bit of oil seeping from the underside of the bay; I wasn't able to tell where it was coming from on the night and the owner wasn't forthcoming with that info (didn't know I suspect). I also got the old "belts don't need doing for 7-10 years according to Renault", which I decided to let slide at the time. The front bumper has taken a hefty hit/scrape at some point and the owner has tried a DIY touch-up (not a proper respray); the colour doesn't quite match and it looks awful. It actually upset me to see a FRB treated like that. The bonnet has also copped an impact at some point which caused it to buckle at the front, but instead of getting it properly fixed/replaced, the owner has had someone try to "smooth it out"; again it's a half-arsed job and you can still see evidence of the damage where the front part of the bonnet is still slightly wrinkled. The paint on the outer edge of both doors is badly chipped as a result of (I suspect) the doors being opened and hitting objects. This is to be expected to some extent (the doors are quite long) but this was definitely the worst case I've seen of it. Several small panel dents here and there; would probably come out with some PDR. Wheels are very badly curbed; would need a full refurb. While the owner was very nice and good to deal with, he doesn't seem to know these cars well in general terms of features and common issues/maintenance. One of those people who hasn't put in the time to learn about the vehicle (not what I'd call an enthusiast), and prefers to "just leave it to my mechanic". I've run into a few of these types while looking at Clios, and it has surprised me to be honest as I didn't expect non-enthusiasts to own these cars. You'll know these people and their cars by the cobwebs, paint fade, curbed wheels and un-repaired cosmetic damage. It's a bit sad really, but I guess everyone has different standards. That’s a long list of repairs and a hefty bill of parts and labor to fix. 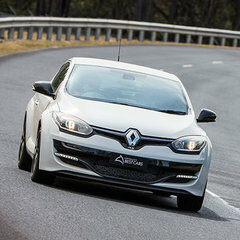 Seems to be a bit hit and miss with the Clio IIs now that they are getting a bit older. Previous years you would be able to pick up a minter with low kms but now the good ones are getting harder and harder to find. Which may translate to higher prices for those that are looked after by enthusiast. At this point it is best to just get the best maintained Clio II. Irrespective of its a 172, 182. Thats what I would be doing round 2. Anyway, new clutch was way lighter than the old, even though we'd had a fresh cable recently, and did take a few days to adapt to the weight to depress vs the spring effect on release. So sweet now. Half a handful of non-cup BO's came into the country/were sold. sorry to dig up an old thread, @Moosey do you have a rough idea how many of that spec came in? It was no more than 5 or 6 from memory. Someone else may be able to clarify.